Thought I should let you all know that my blog may a little quiet for a month or so. I am off to the USA this very night to a University reunion, a family holiday, the obligatory Las Vegas and Disneyland visits and basically as much eating as I can fit in! Seattle is the first port of call and having been there before I know I am in for more than rain! I should be enjoying Seattle’s finest in a few hours (well…more like 30 hours). I have prepared some “Taste of Australia” gift bags for my dear friends from Uni days whom I have not seen since 1983…YIKES! 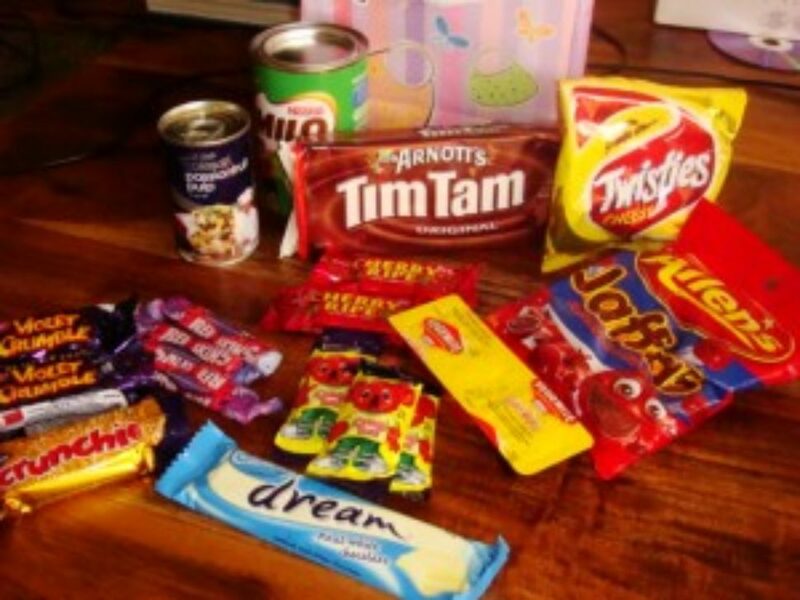 They include vegemite of course, Tim Tams and Milo for a Tim Tam Slam experience…(google it and see what you get!! ), Passionfruit pulp so I can make Pavlova for them, (again, google away), Twisties, white Cream Chocolate, and then all the usual, Caramello Koalas, Violet Crumbles, Cherry Ripes, etc. etc. On average, no less than 2000 calories per bag I think! So, rather than not stop by here, please keep visiting and take the time to visit some archived recipes, try them out and send me a comment. Looking forward to hearing from you…and I will try and post a trip restaurant review or two!